My son asked me this question when he was six or seven and Wilberforce is supposed to be nine or so! What's funny is my son also mentioned if deer could actually understand the sign. 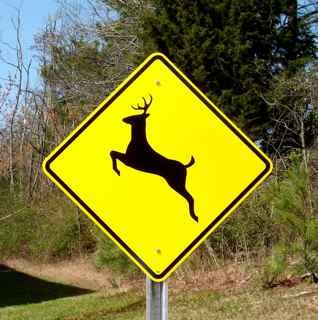 I explained the sign is just placed between areas where deer are wont to cross, usually wooded areas with a water supply (creek, stream, etc).